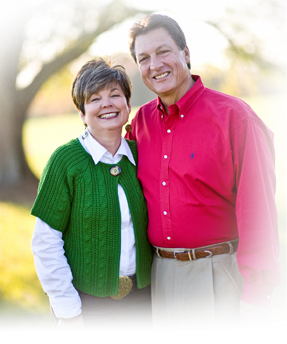 Lynn Westmoreland was born and raised in Georgia, living more than 25 years in Fayette County before moving to his current residence in Coweta County. A true American entrepreneur, Lynn began his own building company L.A.W. Builders. While running his business, Lynn was elected to the Georgia State House, where he served proudly for 12 years. In the state House, Lynn developed a reputation for fighting for lower taxes and smaller government. He was eventually elected to serve as the Republican Leader, a position he held for three years. His hard work and dedication is credited as one of the major reasons the Republican Party was able to win the majority in the Georgia State House for the first time. In 2004, Lynn was elected to the United States House of Representatives for Georgia's Eighth Congressional District. After a long redistricting battle, the Eighth District was converted into the Third District, which stretches from the southern suburbs of metro Atlanta into Middle Georgia and down to Columbus. In 2012, Lynn was re-elected to his fifth term in Congress. Lynn and his wife Joan have been married for 43 years. They have three children and seven grandchildren. In the 113th Congress, Lynn serves on the House Financial Services Committee and the House Permanent Select Committee on Intelligence. The House Financial Services Committee has jurisdiction over the housing and financial services sectors, including banking, insurance, real estate, public and assisted housing, and securities. Georgia is a growing financial center and serves as headquarters for numerous Fortune 500 companies, such as Coca-Cola, Aflac, and Home Depot. Georgia has been hit especially hard by the current economic downturn. The state has had more bank failures since 2008 than any other state in the country and is also one of the top ten states for foreclosures. Westmoreland believes it is important that Georgia is represented by a conservative, free-market voice on the committee that speaks for Georgia. The House Permanent Select Committee on Intelligence is charged with oversight of the United States Intelligence Community, including the Central Intelligence Agency and the National Security Agency. Westmoreland understands that ensuring our nation's security at home and around the world requires a strong intelligence community and works with his fellow committee members to make sure they have the resources they need to carry out their important mission. In addition, Congressman Lynn Westmoreland will also serve as the Deputy Chairman at the National Republican Congressional Committee (NRCC) for the 113th Congress. Westmoreland has served in a leadership role at the NRCC for the 111th and 112th Congress, leading the redistricting effort as the Vice Chairman for Redistricting and assisting Congressman Kevin McCarthy with candidate recruitment. 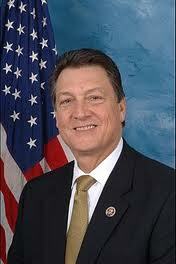 As Deputy Chairman, Congressman Westmoreland will work closely with Chairman Greg Walden and the staff at the NRCC.